Happy to report, I feel much better. The cold has peaked! I went to a baseball game at Utah Valley University last night and the view at the stadium was fantastic! I watched the entire game and only talked to one person. This gentleman I will dub as the ‘tattoo man’. One that, when you first look at him, you instantly want to look away for fear of him. I didn’t, of course. I inquired about the neck tats that he had. He explained what they all meant to him, but he recommended not getting neck tattoos. Even though a bit scary looking, the guy was really nice. He was with his wife enjoying the game, but I didn’t ask him if he wanted to be profiled. Since it was the first time, in what seems a long time that I have felt good, I figured I would come up with something. Today I got up, went to Starbucks to write, I drew a blank. So for now – I have nothing to write about! I did go to two games and have a good story for tomorrow! Please check back. I will be back in the groove – I promise! Well I was unable to get a post out for the first time on this trip! I writing this post in Salt Lake City. I needed to write something yesterday but with the head cold and all the driving the last 24 hours it wasn’t in the cards! I drove from San Francisco to Reno yesterday. After yesterdays game I drove some more, check Day 55’s post for all the details! I started the day in Las Vegas, drove to Bakersfield to watch Bakersfield vs Modesto and then I drove to Santa Cruz, over 500 miles today and I am tired! I have a great Walmart parking lot story I want to share with you. I will make sure to include it in my post for tomorrow! I am already 2.5 hours late posting this, so I am taking the night off and ordering a pizza! Check back tomorrow! Yesterday, I needed to find a baseball game during the day since a friend of a friend hooked me up with some tickets to see the Phoenix Suns play the New York Knicks. I found a high school tournament on the out skirts of Scottsdale, in the middle of no where or that is how it felt, it was at Salt River High School. The game was between Northland Prep Academy (NPA) and Bagdad High School. Northland Prep only had 11 players on the team. However, what I loved about these teams was the enthusiasm and tenacity they showed. Each team had excellent middle infielders, which impressed me. One kid, a freshman, was very small compared to his peers, but he made all the plays. I sat in the bleachers with a man, his wife and his daughter. The daughter is the wife of the coach for NPA. I sat and talked with this family throughout the game and told them what I was doing. The man’s wife was very interesting, she was telling me about her favorite baseball teams. Coincidentally, her favorites happen to be my two favorite teams, the Milwaukee Brewers and the Los Angeles Dodgers. The funny thing is I “kinda” dismissed them initially regarding baseball since they were out in the middle of nowhere watching some smaller schools play. Call me arrogant but I sometimes think I know more than I actually do… with that said, the man I passed off as a grandpa to one of the kids on the team, since he told me that he lived in Colorado. He made occasional baseball comments but I really didn’t think to much about them. I continued to talk to his wife and she tested me on some of the Dodgers players. I reeled some off and she reeled some off. I was impressed with her, she was obviously the baseball person in the family. She stumped me, of course, when she asked, “Who replaced Steve Garvey at first base when he signed with San Diego?” Any other day I would have remembered, but I forgot. I had to ask her who and she didn’t remember. I couldn’t Google it since my reception was bad. I started thinking about this family, the man said his daughter and another son were born in Milwaukee. Then he confirmed with his wife that another son was born in California “The Los Angeles connection”, I thought. He wasn’t mentioning what he did for a living, he did say something about Wyoming and playing there. Things didn’t make sense to me so I finally asked him why he moved to Milwaukee? He smiled and said, “the Brewers”. I still didn’t catch on. My thought was he worked in the office or ushering. I asked him what he did for them and he said, “I played first base for them”, in a matter-of-fact manner. I felt like such an idiot! Finally, his last name came to me. I said, “Your last name is Brock” and he said, “yes”. I couldn’t remember his first name, but it all came back to me. I remember the pressure he was under in L.A. because he was replacing Garvey. I remember reading all the hype, Greg Brock! What makes it even more frustrating is I didn’t make the Brewers connection and the 1987 season was the most memorable to me. I listened to every game, the streaks that year, winning, losing and Molitor’s hitting streak! Greg Brock’s first year with the Crew and he did great. He batted around .300 and had a great glove in the field, if my memory serves me right! Google it if you want! 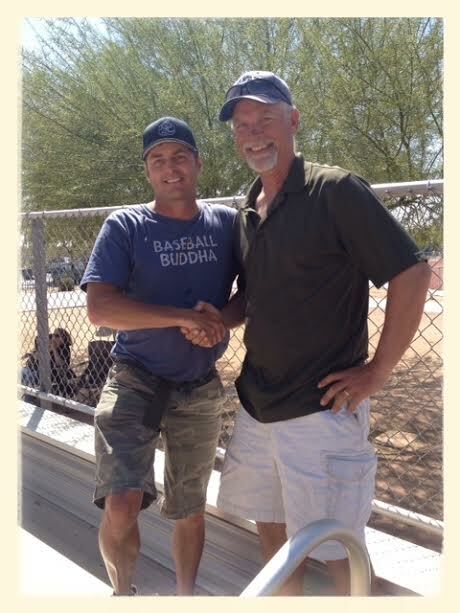 If you enjoy this story and you would like to help me complete the “Baseball in America Tour 2014”, which is roughly 265 days, please click on the following link to see how you can help http://www.baseballbuddha.com/sponsor.html . Please, also ,share this on your Facebook page and Twitter, I appreciate all the help I can get! Well I have to say that I am learning a lot! I have made the mistake of using some photos that are copyrighted, I thought they were not and assumed I could use them. Thankfully, I have someone looking out for me and told me the error. 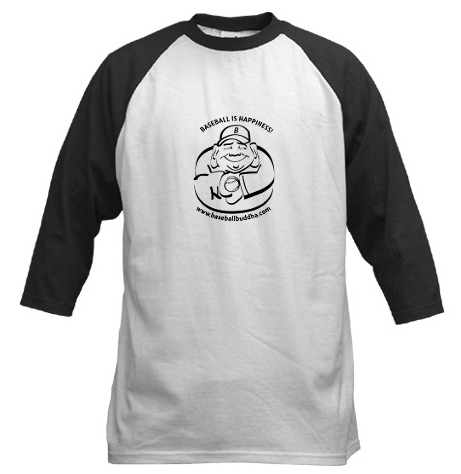 I have to change some things up and I will not be selling the T-Shirt I came out with last night, I still will have the T-Shirt that accompanies this post up on the site. I will also will be revamping the site to make sure that I am not infringing on any copyrights. This is a minor setback but I would rather deal with it now before I hit the road and I sold a bunch of shirts, to the people that purchased the T-Shirt, I will refund the money and you can decide if you want the current one. So sorry and a little embarrassed. I sincerely apologize to the company I used the photos from.